It is a specific kind of disappointment when a product you like gets discontinued and you can no longer find it on the shelves or in stock. When that happens, you have to embark on a trial basis with similar products, hoping one of them is the right fit for you. Maybe this is all sounding a bit too familiar in the wake of now-closed Teavana brand tea shops, as you begin your search for new tea like Teavana. Luckily, we can compare popular Teavana tea flavors to similar Plum Deluxe blends and help you connect with a new source for tasty tea. 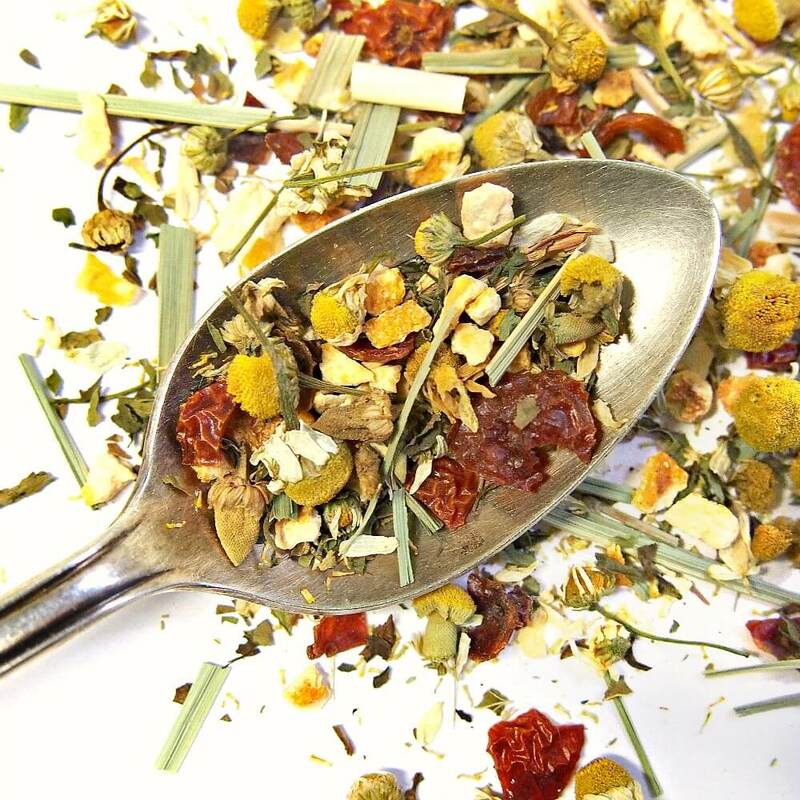 If you love the low caffeine levels and balanced sweet and tart flavors of Youthberry Wild Orange Blossom, you can find similar flavors in the naturally low-caffeine Happy Hour herbal blend from Plum Deluxe. Tart, pink hibiscus is paired with bright, juicy citrus and a hint of additional sweet fruits and florals. Happy Hour herbal blend is the right tea for when you want to feel refreshed and invigorated and enjoy the sweeter things in life. If you want to go a bit beyond the citrus and rose hip combination of these two teas, try Ease blend from Plum Deluxe, which pairs similar sweet and tart fruit notes with the addition of crisp mint and lavender. Inspired by the cocktail of the same name, our Blackberry Mojito tea will add some pizzazz to your tea time. The hallmarks of a refreshing mojito are lime and spearmint, which we added to a few blackberries and a splash of maple (mojitos generally have powdered sugar – we thought this was a lovely substitute). It’s sweet and refreshing without being overly so. Great iced and great shared with friends. If you’re looking for a soothing herbal tea that really calms the senses, Coconut Ginger Soother is it. Inspired by the amazing coconut zinzigber (ginger) combo, we’ve created an expertly blended combination of coconut, apple, cinnamon, and ginger. It reminds us of a lightly sweetened apple cider with a gentle spicy ginger edge. 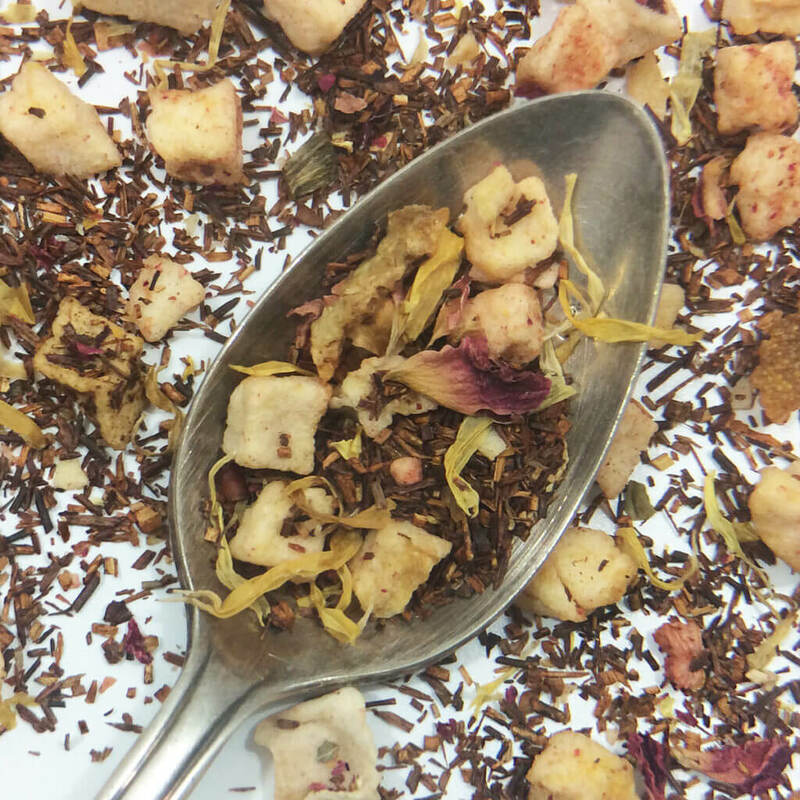 It’s not often we’re this smitten with a new recipe, but this tea really is something special. Our delicious Toasted Nut Brulee oolong is the hug in a mug you were looking for. A swirl of hazelnut, chestnut, almond, and walnut – with a splash of toasted vanilla – is just what the doctor ordered to get you through the day. 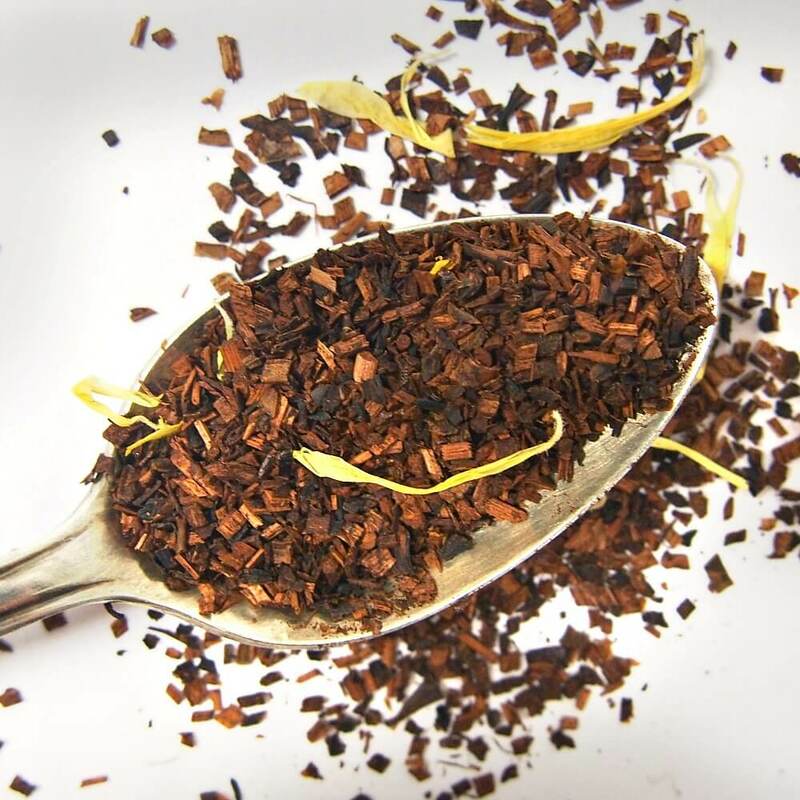 The rich oolong base, along with black and rooibos teas, helps ensure a robust and balanced flavor profile. Great with a splash of milk! 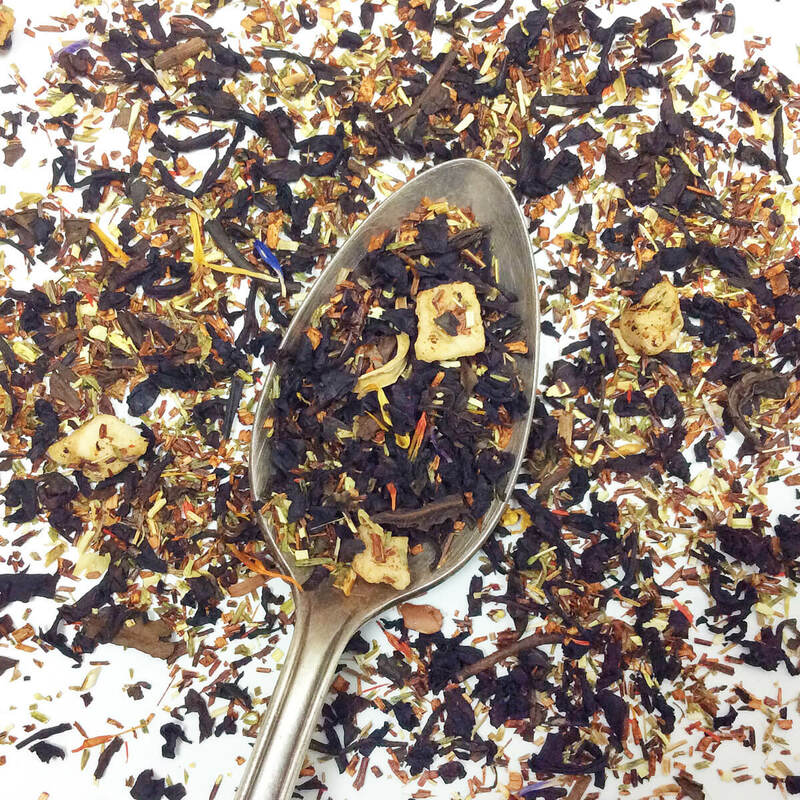 Our delicious and fruity Peach Bellini herbal tea blend reminds us to slow down for a moment, smile, and have some fun. Piles of fresh fruit pieces (strawberry, mango, papaya, apricot, pineapple — and of course, peach!) are slowly blended together with red rooibos for a refreshing treat, hot or iced. And it’s caffeine free! Looking for a classic mango flavored black tea? 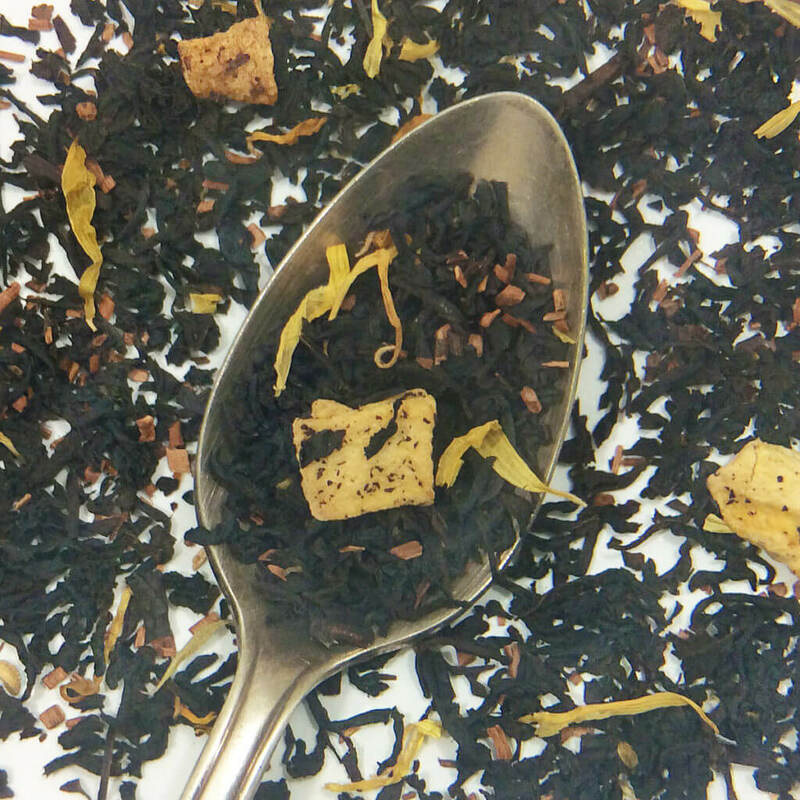 Look no further than our Smooth Sailing black tea — simple and classic, yet inspiring. Whether it’s a crisp iced tea on a hot day, or a warming infusion on a blustery afternoon, you’ll appreciate the nuanced flavors in this delicious black tea and mango blend. Sip and know that you’ll find the easiest, best path forward. If you’re looking for a cup of tea that leaves you feeling like you’re floating on the clouds, we’ve got a dreamy Lavender Daydream white tea just for you. This infusion of mango and peach has delicate lavender and rose florals to create the most magnificent aroma and layers of wonderful flavors. Despite the touch of caffeine in the white tea, this makes a great evening cooldown blend. The fruit and florals on the white tea are also a perfect companion for tea party foods and conversation. 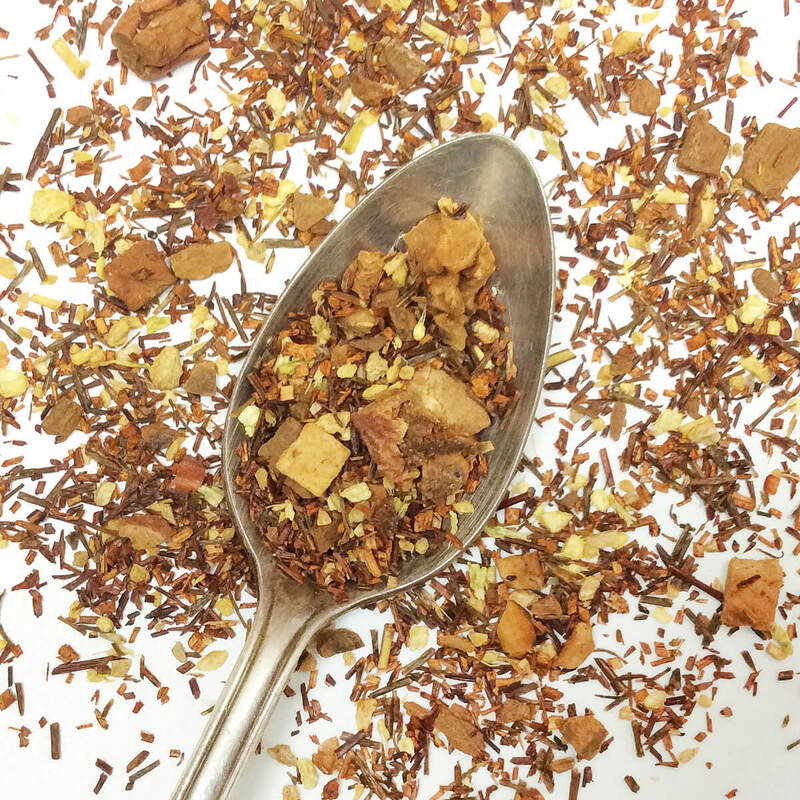 With both mate and rooibos teas, Samurai Chai is playing both ends of the caffeine spectrum, not to mention it also packs plenty of spice. If you like Samurai chai, be sure to try Stargazer Caramel Mate Chai from Plum Deluxe. 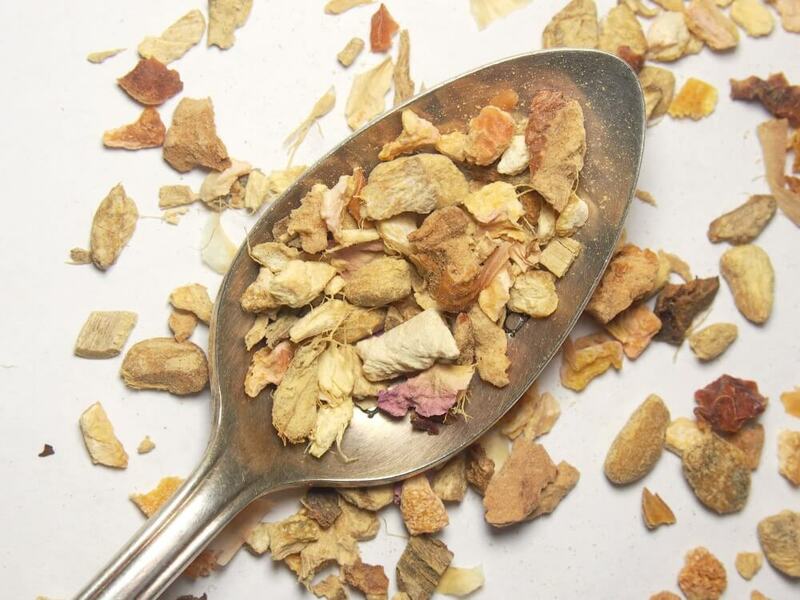 With a similar blend of both mate and rooibos teas, Stargazer hits the Samurai chai sweet spot and brings the same warming, herbal spices of cardamom, cinnamon, and aniseed. 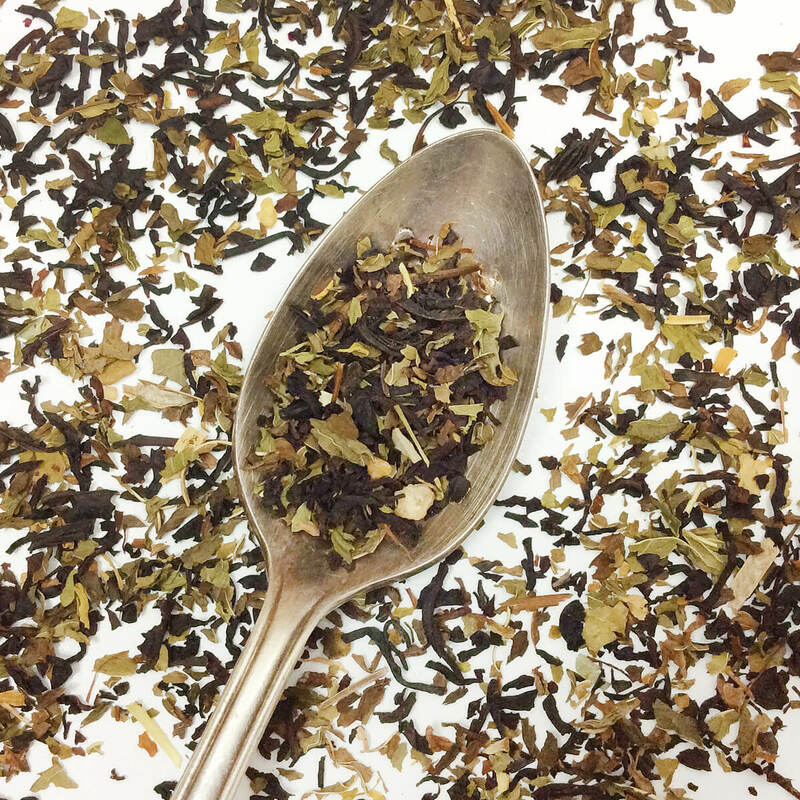 If you’re less concerned about getting your caffeine fix from the mate tea, try Plum Deluxe’s Rose City Chai for a black tea and rooibos chai mix with additional lemongrass and blackberry for a slightly fruitier cup of tea. Our Calm Chamomile Bloom herbal tea is a gentle, delicate caffeine-free cup of goodness. A nourishing trio of rose, lavender, and chamomile dance on your palate, balanced by crisp lemongrass and fresh lemon balm, all grounded by sweet and earthy green rooibos. 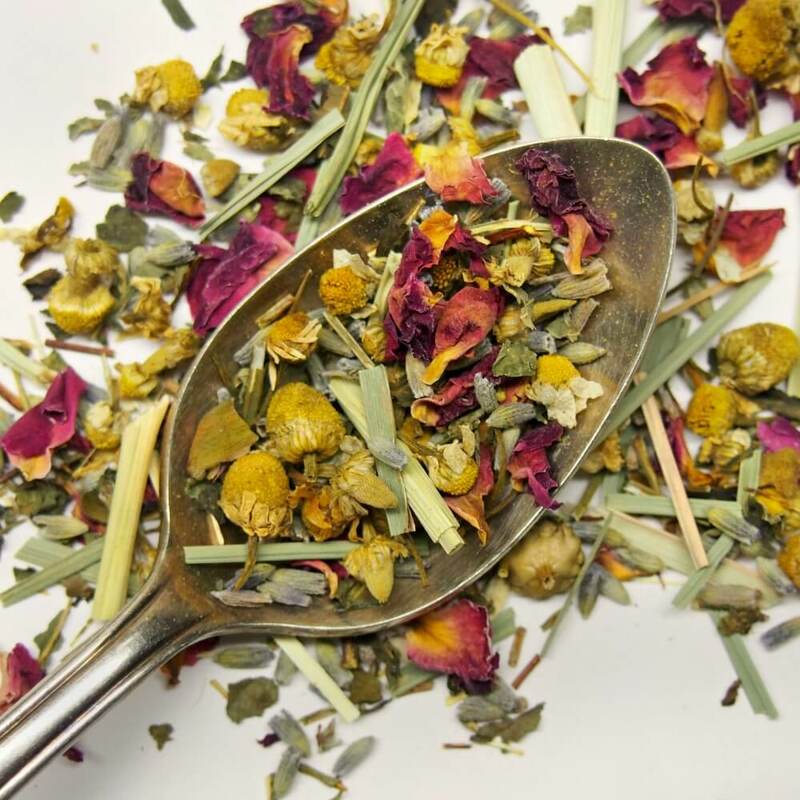 A fresh take on a traditional chamomile tea, this delightful floral blend is reminiscent of a barefoot walk in the garden, providing a necessary respite from the world. 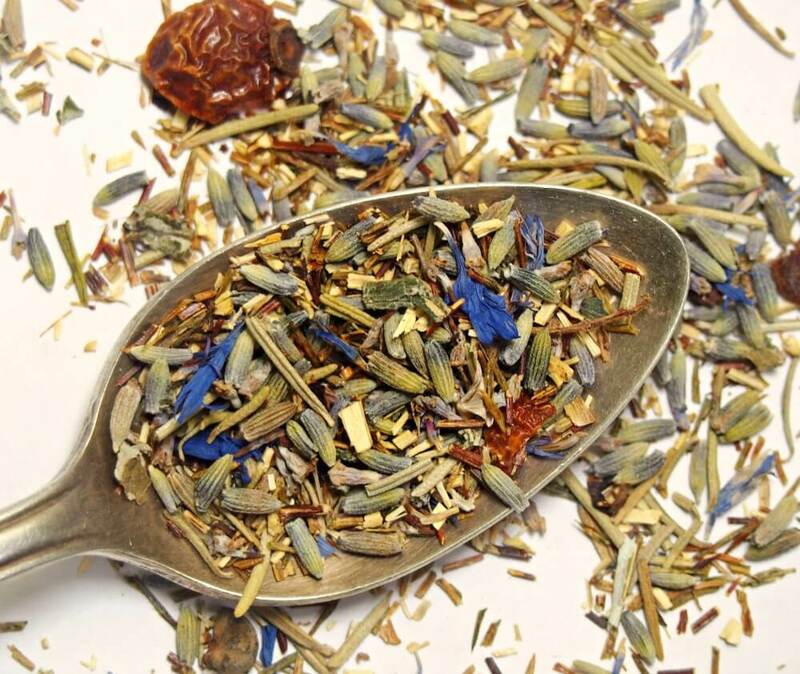 Blueberry Bliss Rooibos is an herbal tea blend bursting with sweet berry flavors. 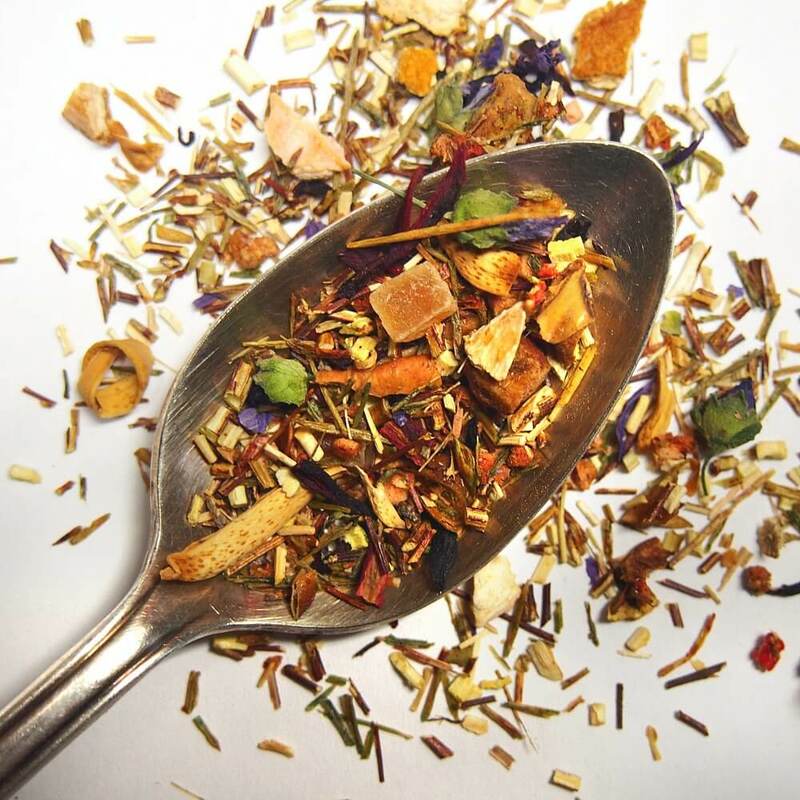 The good news, in your search for tea like Teavana, is that the Meadow Walk herbal blend from Plum Deluxe is nearly a perfect match. Meadow Walk also features the same caffeine-free, green rooibos base, with some identical ingredients like blueberries, rose hips, and hibiscus. 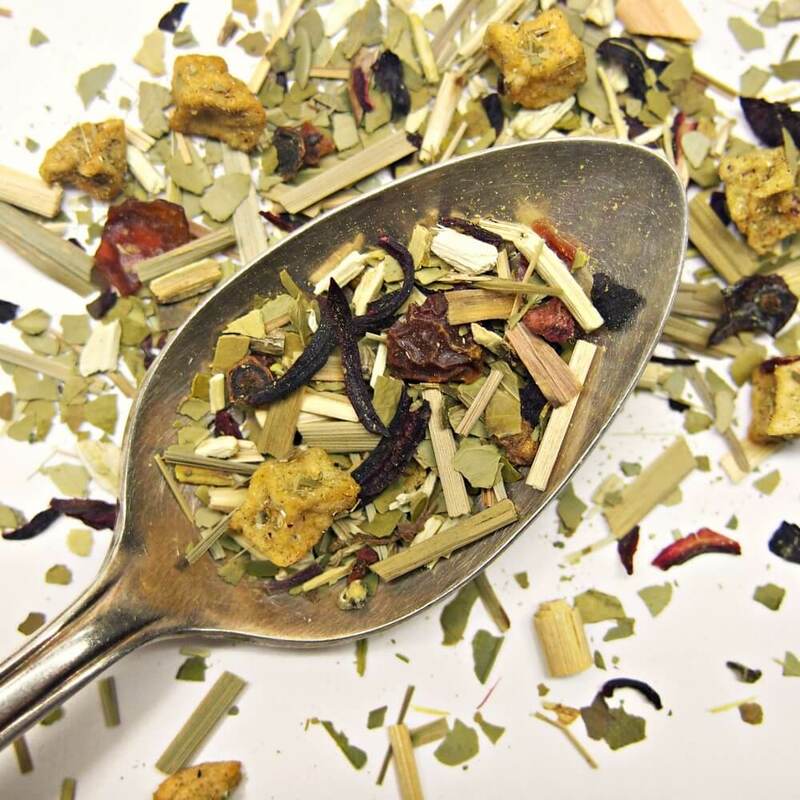 If you are looking to branch out beyond herbal blends, the Easy to Be Green tea blend features similar juicy, blueberry flavors, but this time with a green tea backing for a little caffeine lift. Whether you crave blueberry teas to go with your pancakes at breakfast or just want something that will brew up sweet and fruity in the summertime, Plum Deluxe can help with your blueberry tea cravings. Sometimes you just need a simple comfort. 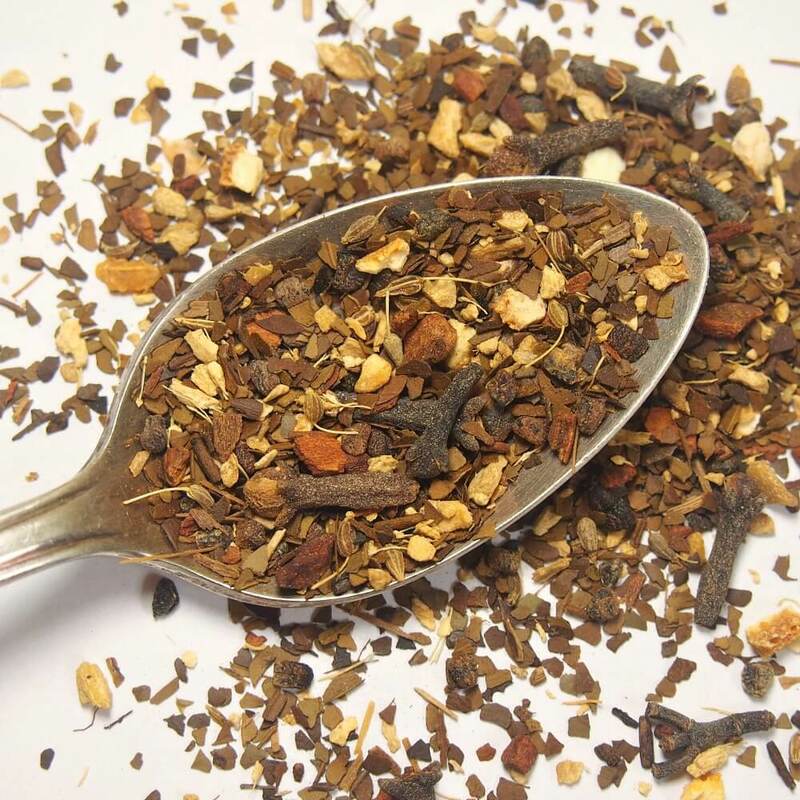 That’s where our Vanilla Creme herbal tea comes in: grounding honeybush tea pairs with a creamy vanilla extract, resulting in a simple and yet deliciously satisfying herbal brew. This tea is wonderful for those still moments like relaxing on the back porch enjoying the breeze. 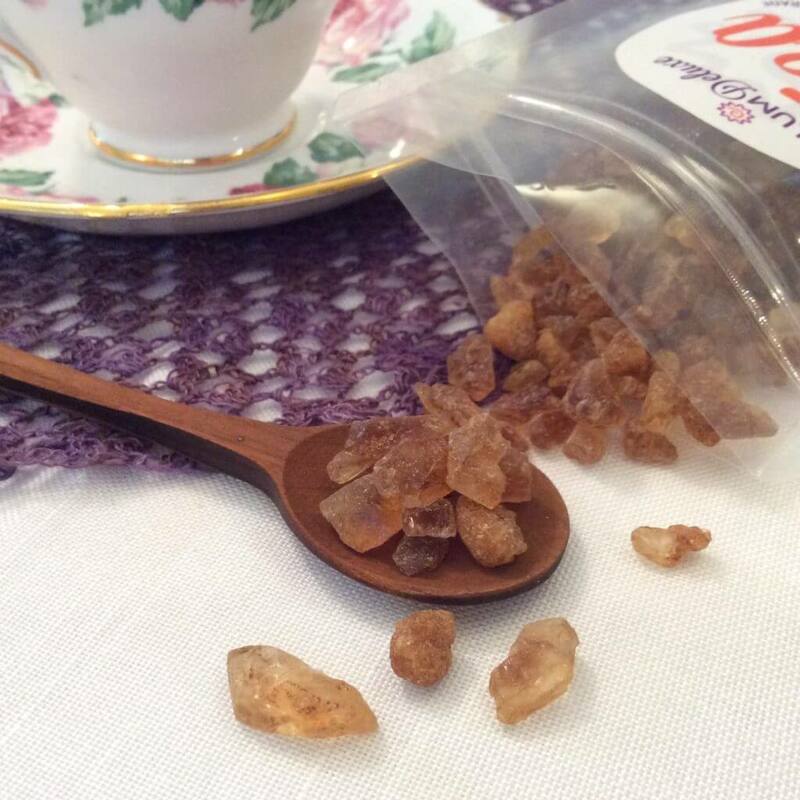 It also makes a phenomenal cuppa to satisfy a sweet tooth (though we will say this tea takes wonderfully to a touch of sweetener). Cool your heels and calm your mind with a cup of our Cozy Tranquil Dreams herbal tea. It’s a curious combination of tart flavors (rosehip, orange, hibiscus) with a melange of lemongrass, chamomile, and spearmint. No matter if you’re off to enjoy some sweet dreams or just need an herbal tea to support your day dreams, this cup is meant for you. It’s the perfect companion for stillness and inner reflection. Citrus and green tea come together in Teavana’s Jade Citrus Mint blend. Looking for a refreshing, contemplative cup of green tea? 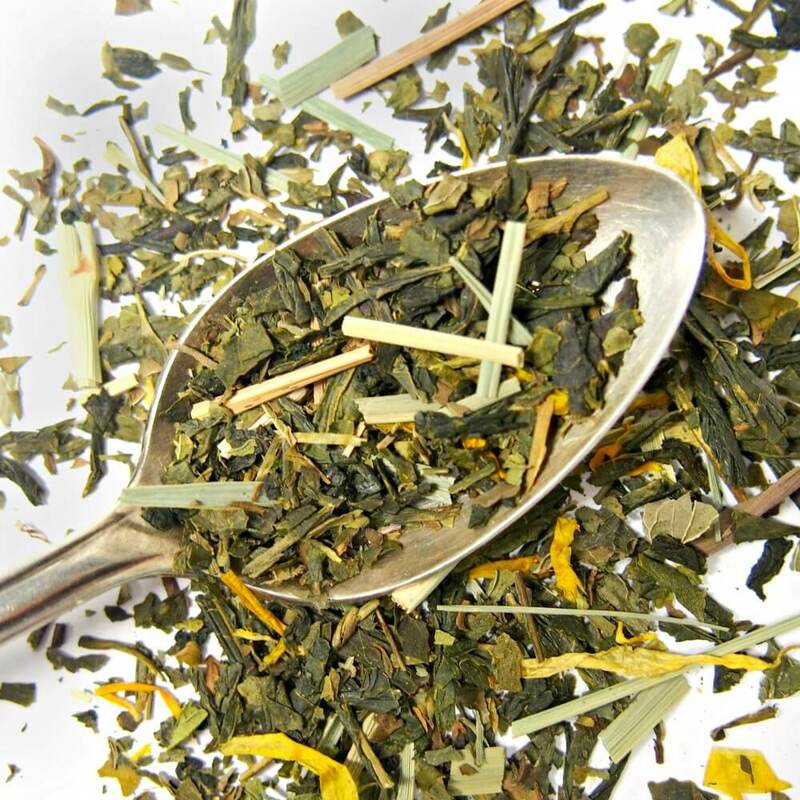 Then look no further than our wonderful Citrus Mint Green Tea. A delightful dance of lemon and orange pair with hints of lemongrass and a sprinkle of spearmint to create a true tea zen moment. It’s bright and awakening but in a calm, assuring way. It makes a wonderful cold-brewed ice tea, or enjoy it hot paired with journaling or meditation. If you are looking for a more mint-heavy tea replacement, try After Dinner Mint with spearmint, peppermint, ginger, and vanilla. Both Inner Calm and After Dinner Mint feel crisp and gentle, great for warm summer days or cool, easygoing evenings. 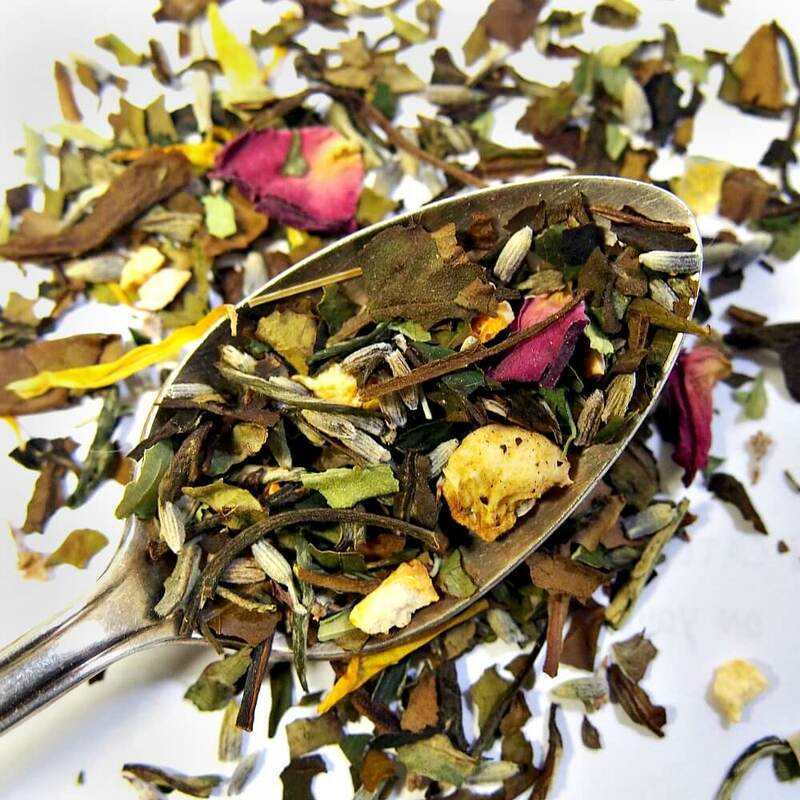 Delicious, exotic, and dreamy, our Dragonfruit Desire herbal tea is a colorful, aromatic blend of green rooibos and fruit flavors perfect to sooth the ebbs and flows of everyday life. Enjoy as a wonderful herbal iced tea or hot tea. It’s just perfect for a bit of “me time” — but also great when shared with those you love. Distraught over the end of Raspberry Riot? Mend your broken heart and fall in love with Plum Deluxe’s refreshing Raspberry Revitalizer raspberry lemon mate tea. It’s a very bright, delicate balance of green mate (much more grassy and pleasing to the palate than traditionally aged mate) with lemongrass, lemon peel, hibiscus, and raspberries. Mate packs plenty of calm caffeination, so the light nature of the flavor profile in this tea reminds us that sometimes it’s a gentle nudge we need to push us in the right direction. This is one of those blends that is quite enjoyable both in the mornings or an afternoon pick-me-up; you can also do a strong cold brew steep for an excellent iced tea. Earl Grey is a classic cup of tea, and no one company has the market cornered. If you are missing the citrus and cream of Earl Grey Creme, try Mindful Morning tea from Plum Deluxe. 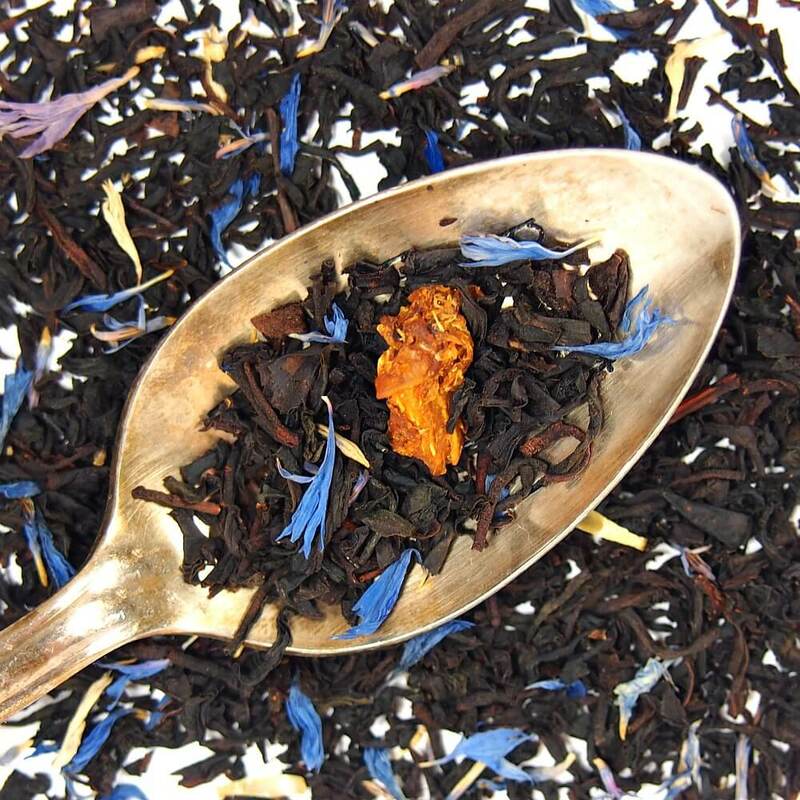 Mindful Morning is an Earl Grey blend with tart Ceylon black tea, fruity bergamot oil, and creamy vanilla essence. 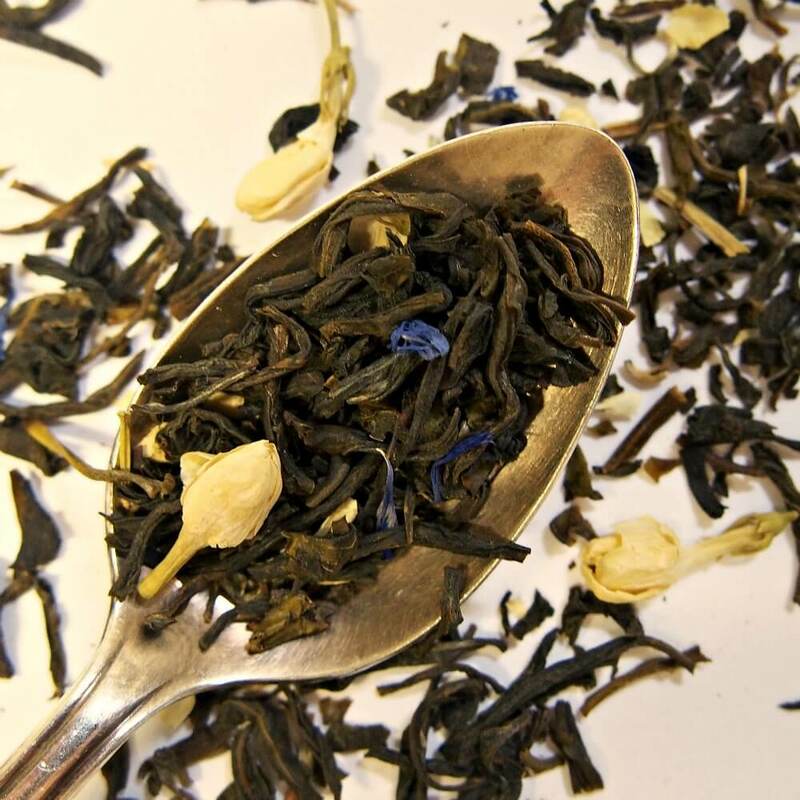 If you love Earl Grey but want to shake it up a little, try Gratitude blend from Plum Deluxe, which pairs a classy Earl Grey tea with playful strawberry. Either way, Plum Deluxe has the perfect Earl Grey blend for your next tea party. If a calming, sweet cup of herbal tea is calling your name, then pour yourself a cuppa of White Chocolate Peppermint herbal tea. It’s a simple blend of white chocolate (in our case, a creamy vanilla), peppermint, and rooibos with a sprinkling of coconut flakes for a touch of sweet. This fragrant and delicious herbal tea is perfect for all occasions, whether it’s a child’s tea party, a decaf tea for reading time, or just curled up in bed with PJs — nobody needs an excuse for a cup of this cozy blend. Sometimes, you want a cup of tea that doesn’t take things too seriously. 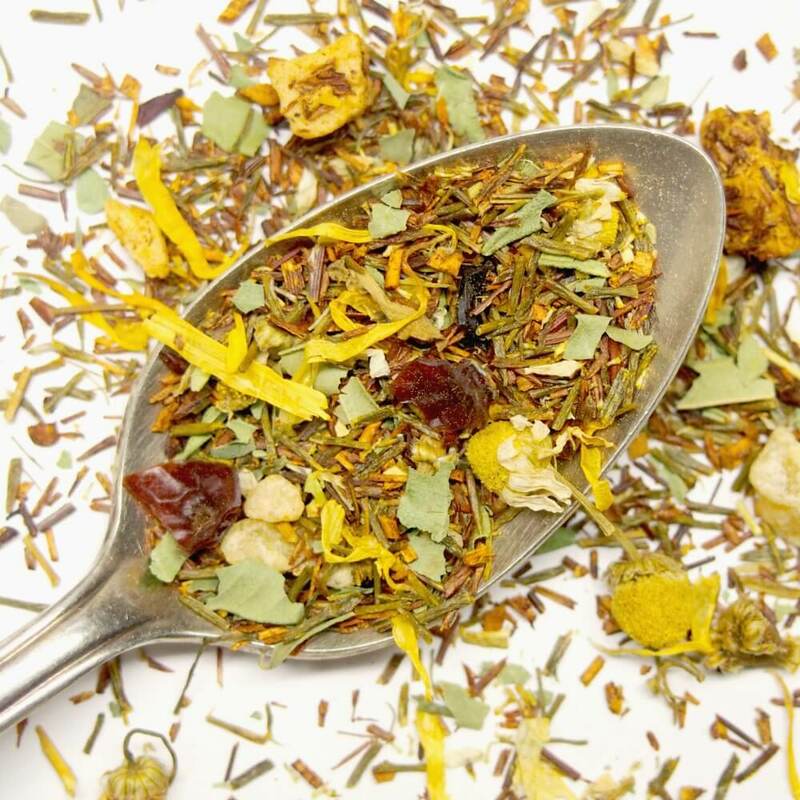 Plum Deluxe’s Tranquil Peach herbal tea has an earthy base of red and green rooibos teas paired with peach and pineapple, topped with sprinklings of fresh chamomile, rose hips, and lemon verbena. We love it as a creative conversation starter with small groups, or paired with evening activities like working on a puzzle or reading. Nourish body and soul with the wisdom and healing of fresh herbs and citrus fruits! Plum Deluxe’s Sage Wellness herbal tea artfully blends sage and green rooibos with lemon, orange, and a pinch of strawberry and peach to make a delightfully refreshing, flavorful tonic. 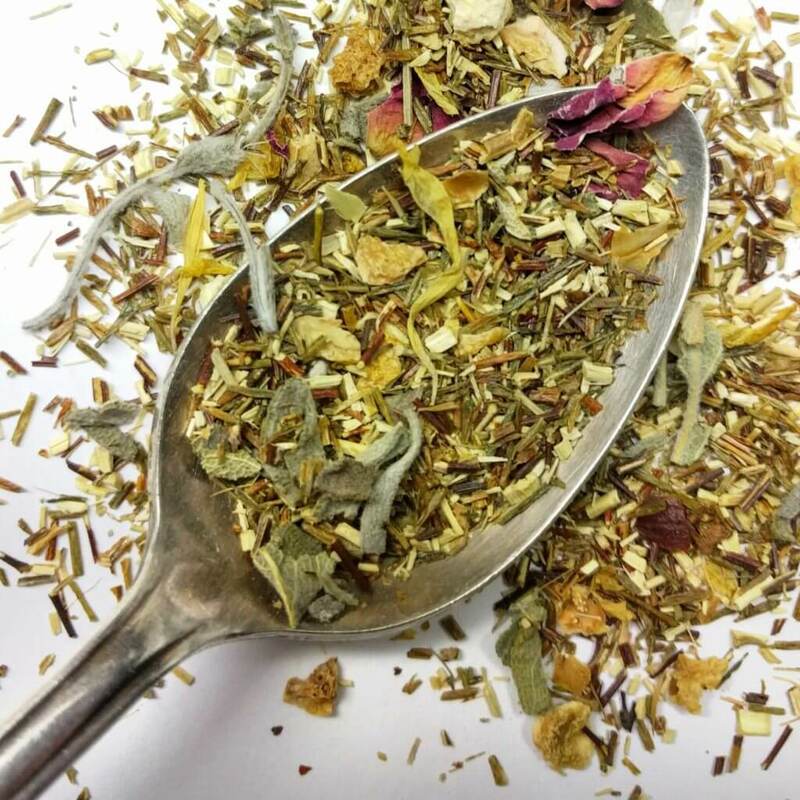 It’s wonderful for when you have those emotional blues or just want a cup of something calm and restorative, and it’s a beautiful alternative to citrus lavender sage herbal tea. Looking for a boost? Our Rejuvenation ginger lemon herbal tea blend is just the thing. We start with lots of fresh, spicy ginger root and crisp lemon peel. The ginger-lemon combo is one of our favorite things, but we had to deluxe it up with a few apple pieces for a touch of sweetness, a pinch of licorice root for balance, and top it off with a few rose petals for a calming influence. The result is a powerful, yet calming, cuppa that also works fantastic as an herbal iced tea. 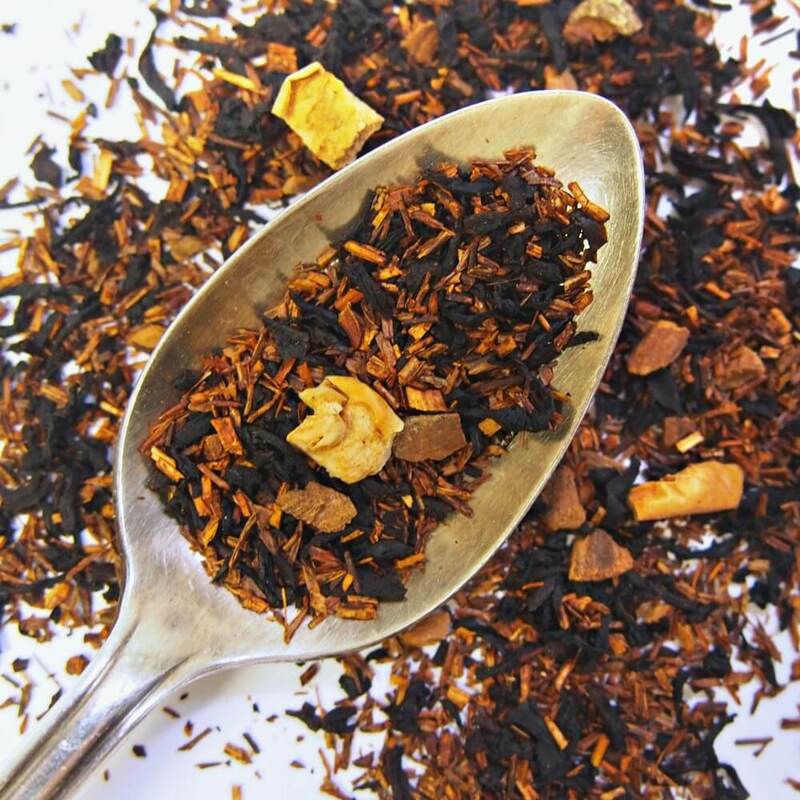 If you’ve ever enjoyed that sweet aroma of roasted nuts at a farmer’s market or festival, then you’ll love this Caramel Almond black tea blend – it’s dessert without any guilt! The pairing of the sweet and the nutty flavor balance each other out so nicely. To help with that balance we use both a rooibos tea and a black tea, along with handfuls of fresh apple pieces and cinnamon chips. Steeps wonderful with a splash of milk or cream. 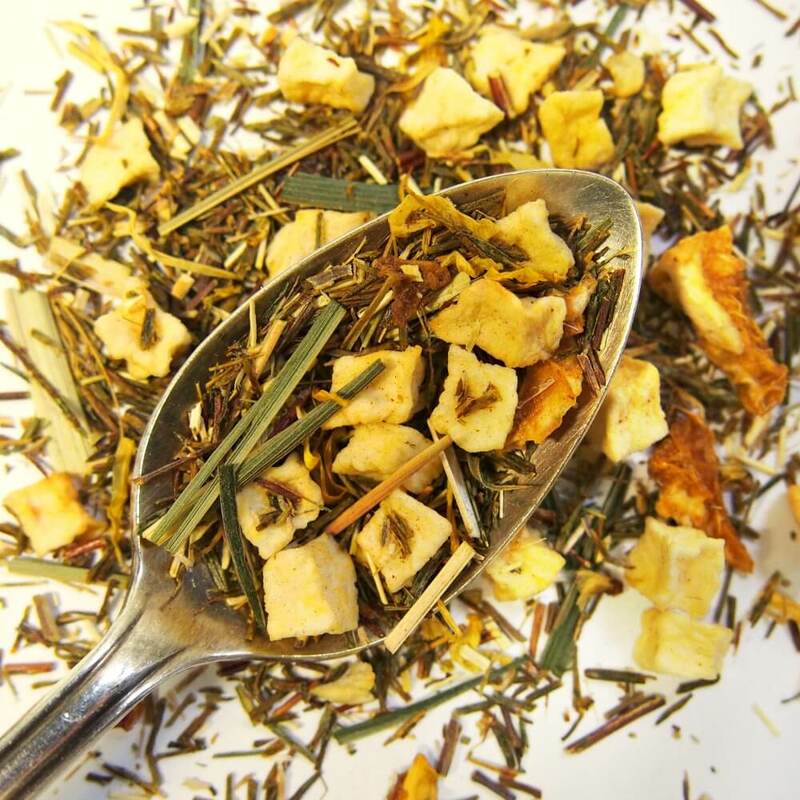 Our Pineapple Pop herbal tea is like an ocean wave on a Hawaiian beach rolling in with refreshing fun and flavor. 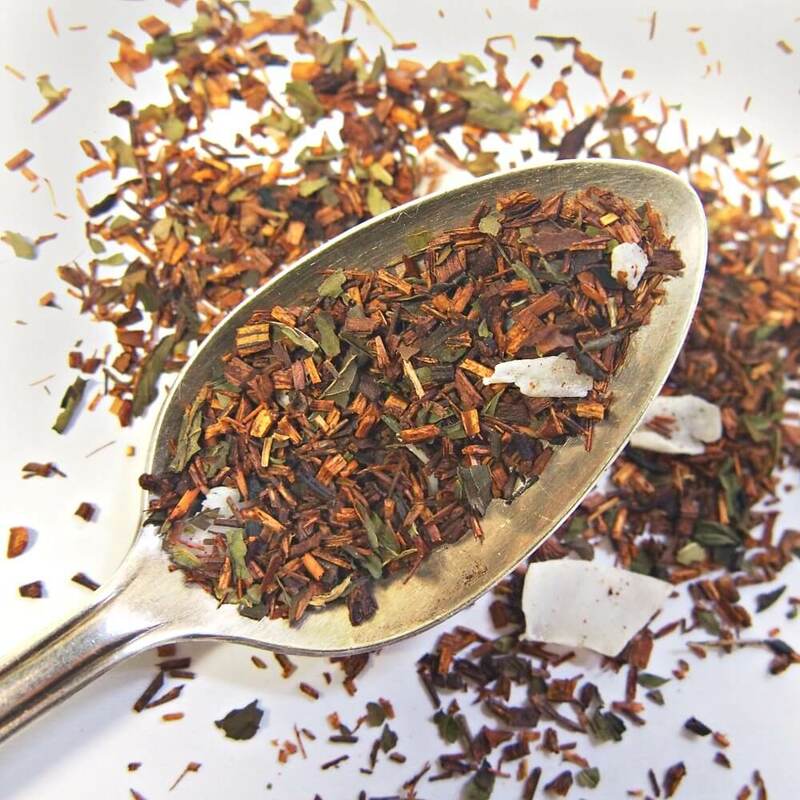 We use a grassy green rooibos base, which helps balance out the acidity and intensity of the pineapple flavor. There’s real pineapple pieces in this blend, along with a melange of other fruits like apple, mango, and apricot. Enjoy this as a terrific cold brewed ice tea, or drink it hot as a bit of pizzazz for reading, creative projects, or joyful conversation with friends. Sometimes there is nothing more comforting than a simple jasmine green tea. We call ours the Hope Blend because that’s the feeling it exudes — soft, sweet, and encouraging. A base of Chinese green tea is lightly dried with fresh jasmine flowers; we add some extra jasmine buds and a pop of cornflower color. It’s quite simple and yet invitingly complex all at once. It’s not always all about tea! If you can’t find some of your favorite tea additives or accessories anymore, try out some of the offerings from Plum Deluxe. Hopefully our guide to Plum Deluxe tea like Teavana has helped you make the transition to trying both new and familiar flavors, and trying out a new, reliable source for tea. 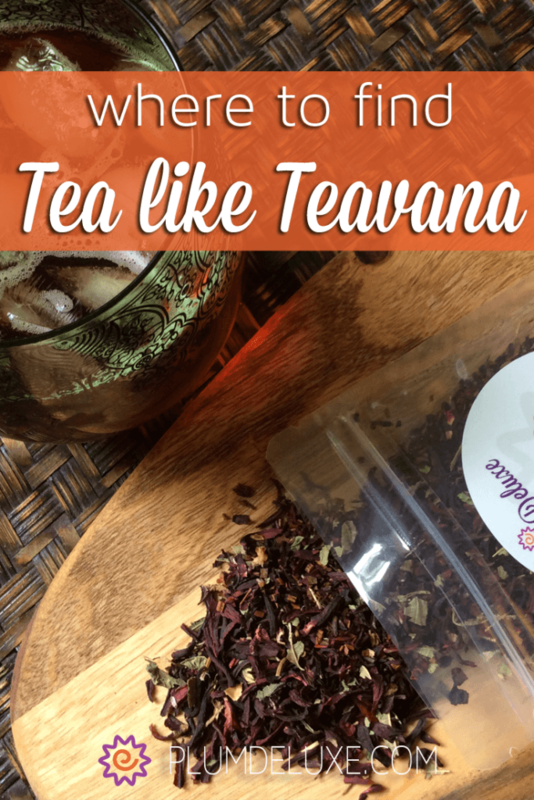 Give some of these Teavana alternatives a try and maybe you’ll discover a new favorite blend to stock in your tea cupboard!